"Interiors should be tailored to how people live," says James Huniford, who his friends call Ford Huniford. "Rooms should flow from one area to another and not have themes. Most importantly, they should reflect the spirit and soul of the people who inhabit them. " 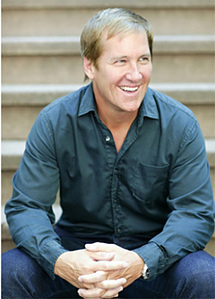 A self-taught designer, James Huniford was selected by Architectural Digest as one of the "Top 100 Designers." His work has appeared in the American, Italian and French editions of Architectural Digest, Elle D	cor, W, Vogue, the New York Times, and House Beautiful, among others.